How departments and other academic units schedule classes is of vital importance to both students and faculty. Our goal is to understand the current process, identify concerns, and suggest improvements. T1 Is the current list of available meeting patterns adequate? T2 To what extent is there a classroom availability crisis? T3 Are the rules associated with the 4:25-7:30pm “free zone” too restrictive? T4 Are the rules associated with evening classes and prelims too restrictive? Click on the links to learn more and to post your insights with total anonymity. You can also post general comments anonymously at the bottom of this page. Understand the current system and its pitfalls. This will require full consultation with the Office of the University Registrar , the College registrars, the Office of Space Planning, and all the scheduling experts who sit in the academic units across campus. Engage the campus in a discussion of the issues. Figure out what everybody wants by using the Web and the assemblies. The Vice Provost for Undergraduate Education, the associate deans group, and the Educational Policy Committee participate in the process all along the way. The Educational Policy Committee develops recommendations and forwards them to the Faculty Senate for consideration and a vote. Whatever the Senate approves is either enacted or passed along to the Provost for further study or approval. Is the current line-up of allowable meeting times adequate? Yes. Do we need more 75-minute class periods? No. We need fewer. These attention-numbing sessions are ineffective for learning. How intense is the pressure not to teach early in the morning? Personally, I enjoy teaching at 8:00 and 9:05 a.m. But my colleagues generally avoid it. The first reason is that students complain; an early lecture can kill one’s course evaluations. The second reason (and the most important, in my opinion) is that Cornell delays opening a couple times a year because Cornell is incapable of clearing a couple inches of snow. (I remind you of when Cornell closed in Spring 2018 because of three inches of snow.) Early classes are cancelled and scheduling make-up lectures is a nightmare. I had to offer two make-up sessions and find lecture rooms to accommodate all the 80+ students in my course last spring. 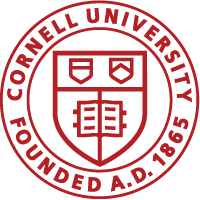 If Cornell insists on a fraction of courses be taught at 8:00 and 9:05 a.m., Cornell needs to support these courses. How intense is the pressure not to teach on Fridays? None in my department. Are there negative side effects associated with the 20-30-30-20 distribution policy? Yes. Not all faculty members are identical. It has something to do with diversity. Are there negative side effects associated with the 4:25-7:30pm ugrad no-teach zone? Yes. Should exceptions be allowed for TR evening classes and MW evening prelims? NO. Absolutely not. Evening classes are much more of an abomination than classes in the 4:25-7:30 epoch. How should we handle requests to teach at nonstandard times? As always, on an individual basis. First accommodate all the classes at standard times, then allocate whatever classrooms remain for the nonstandard times. Why is PE not restricted to the standard times? Are there major problems associated classroom availability and proximity? Yes – major. And the problems are becoming more severe for two reasons. First, there are more class meetings owing to growth in project teams and more teaching staff on campus. It seems that every non-tenure track research/professional development employee wants to teach an elective in their specialty. Second, there are fewer classrooms. Compare the number of classrooms in the new buildings – Gates Hall and Life Sciences – to the older buildings such as Olin Hall. I feel that the biggest issue is the 4:30-7:30 “no class” time. There are now so many clubs and activities that anyway not all can be set inside this time zone. We can still require major classes to meet outside this time frame, but have smaller classes there so every student can fit it to their liking. We need more twice a week meeting times, not just Tuesdays and Thursdays. More Monday-Wednesday (not Friday) teaching slots are needed. It is imperative, moving forward, that we retain the opportunity to teach graduate-level seminars in two- or three-hour time slots. At the 6000 level, or at the combined 4000/6000 level, especially in the humanities, these long seminars are purposefully and thoughtfully designed to produce a different intellectual and conversational experience than would obtain in a fifty- or seventy-five-minute session. The reasons are more complex than can be easily summarized on a webpage like this one, which presents us with a good first step for ongoing discussion. But what can be noted more synoptically here is that bureaucratic thinking about space usage–especially on the part of people who are not themselves teachers–should not steer our conceptualizations of how to produce effective pedagogy; that would be a classic instance of the tail wagging the dog. We definitely need more twice-a-week meeting slots. Our students are complaining that they are doing nothing but back-to-back classes on TR, with little or nothing on MW (&F). Classes without breathing (and thinking and absorbing) time in between are deadly. Re meeting patterns: I have not encountered issues with the meeting patterns. Given the demand by faculty for teaching 75 minutes twice a week, it seems reasonable to think about creating standard MW slots to go along with the TTh ones. That will allow for more teaching on Mondays, at least. For larger undergraduate classes, I prefer the MWF 50 minute slots. It’s just long enough to present an idea that the students can absorb, and not so long that they lose attention or interest. Re the distribution requirements, and early morning teaching: I don’t think forcing more classes into early morning slots is a good idea because the main effect is that students don’t attend. And perhaps not without reason. The Ithaca City Schools some time ago made the middle schools and high schools start at 9 because of studies showing that early morning starts were harmful to teenagers, but for students only slightly older we have courses starting at 8:40AM. I don’t like teaching any earlier than 10AM because I don’t think the students will either learn or attend at earlier time periods. Re classroom availability: in my neighborhood in the university, classes are getting larger, and finding rooms to hold them has become a problem. My main issue is finding a room that holds 100-200 people that has enough blackboard space such that the boards are visible to the students. Re the 4:25-7:30PM free zone: I like this as a policy. It sets aside time for specific student activities such that the students and activities know that there won’t be academic conflicts. It also strikes me as a family-friendly policy; both faculty and grad TAs cannot be required to teach during these times. If we start allowing courses in this time slot as a matter of preference, it will start being a requirement at least for some folks (e.g. TAs). Re evening classes and prelims: Again, I have liked this policy, and it has struck me as family-friendly for the same reasons as the afternoon free zone. The main difficulty it seems to cause is the conflicts that occur when courses all have to offer prelims at roughly the same point in the semester on a restricted set of dates. I don’t know if this is avoidable. If we start offering MW prelims, the conflicts will decrease, but we’ll start creating problems for students having prelims multiple nights in a row. As a faculty member who’s teaching a small seminar in the MW late afternoon time slot this spring, I’m having a dickens of a time trying to figure out how to find a suitable room in any nearby buildings. My class enrollment is 15 students, and I’ve been assigned to an amphitheater in Ives Hall that seats about 70 people – completely wrong for a discussion-based, small group format. I’ve been told that there are no other more size-appropriate rooms in this building or in near ones. I’d be willing to go further afield, but am not sure how to do this search. Tangential to this discussion, but perhaps relevant: Most colleges and departments are still stuck on 3-4 credit, 15 week courses. We need many more options (which a few units already use): 1/2 credit courses, intensive weekend or week-long workshops, dividing a regular course into 5-weeks units that don’t all need to be taken, etc. We discussed this at a departmental faculty meeting and there was wide support. In order for our students to be able to have a healthy balanced collegiate experience, it is essential that they have the time to participate in student activities such as intramural sports, musical ensembles, and student clubs so that they are recharged and energized for their academic work. The extracurricular activities allow students to have exposure to many different students from all across the campus. As it is many courses schedule make-up prelims and exams during the protected 425-730 pm time slot. I agree with a comment above regarding being family friendly for not scheduling courses after 425 pm. More M/W 75-minute slots are needed. My department is very small and teaches less than 10 undergrad classes each semester, making it near impossible to meet the 20-30-30-20 requirement. Our faculty also teach grad seminars in the later half of the day, and these are the same faculty who are doing undergrad teaching. This rule puts an undue burden on a small department, though I understand the need for balance.